The L100 Go system was developed for people with drop foot, which can occur due to diseases of the central nervous system such as a stroke, multiple sclerosis or infantile cerebral palsy. It works on the basis of functional electrical stimulation (FES). With FES, electrical impulses activate the nerves which the central nervous system can no longer control – in this case, the nerves and thus the muscles that are responsible for lifting the foot. 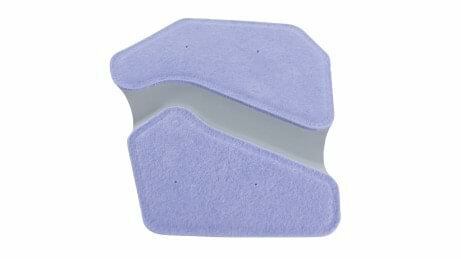 This improves your gait pattern, making it smoother and safer. The orthosis can also contribute to muscle rehabilitation and promote mobility in the joint as well as circulation. The L100 Go works with just one stimulation channel. 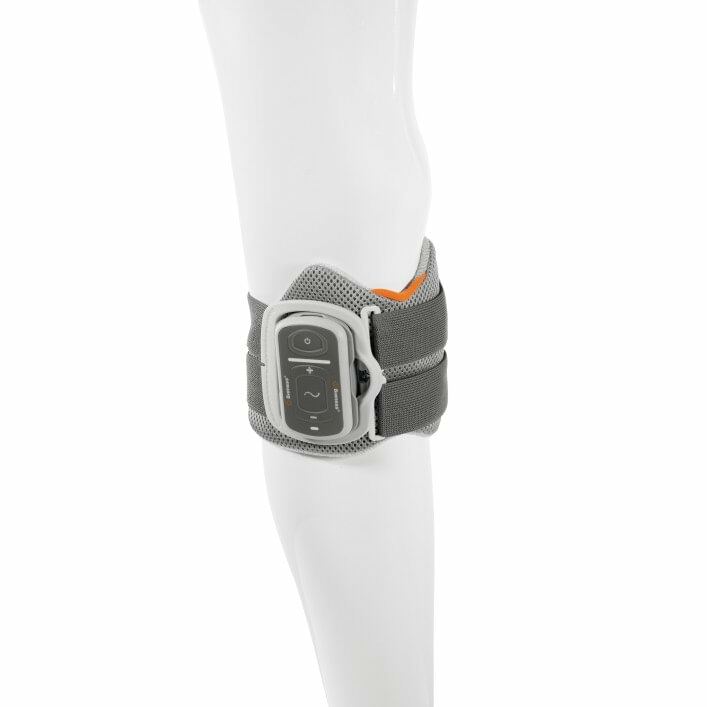 The L100 Go consists of a cuff that is simply applied to the lower leg. 3D motion detection generates the impulse that stimulates the foot, so it lifts at exactly the right time. The L100 Go controls one stimulation channel with just a single electrode. The foot is lifted thanks to the electrical impulse. 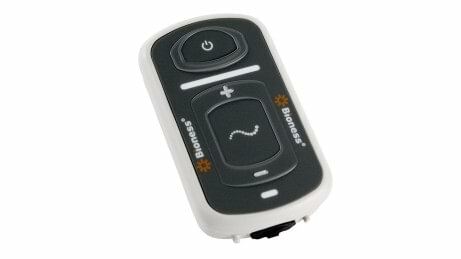 The stimulator continuously adjusts the system to changes in the gait pattern based on intelligent 3D motion detection. It reliably generates an impulse to stimulate dorsiflexion, always at exactly the right time. The lower leg cuff secures the stimulator and the electrode. Anatomically shaped versions are available for the right and left leg respectively. A tablet with Bluetooth connection is available to qualified personnel for fitting the L100 Go. Combined with the small number of components, your fitting is therefore quick and straightforward. 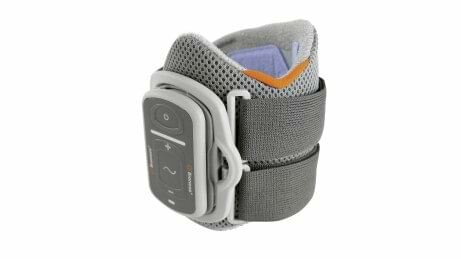 The lower leg cuff is equipped with a modern closure system, so you can easily put on the L100 Go with just one hand. Acceleration sensors monitor movement patterns during walking in all three planes. This also eliminates the need for a foot sensor. What is functional electrical stimulation (FES)? FES is the use of low-voltage stimulation to restore or improve functions in case of neurological damage or injuries. How does FES enable body movements? The brain sends electrical signals to your body via the nervous system. These signals tell the body how to move. If this natural communication between the brain and lower limbs is interrupted by injuries or diseases, it can lead to muscle weakness or paralysis. Sometimes, a muscle and its nerve connections are healthy, but communication cannot take place from the brain because there is a problem with the central nervous system. In this case, FES can be used to replace these natural electrical signals from the brain so that weak or paralysed limbs can be moved again. What are the benefits of FES in case of paralysis or paresis (partial loss of movement)? FES can improve the movements you want to make with your limbs. It can also retrain your musculature, prevent atrophy (amyotrophia), improve the radius of movement and boost local blood circulation. What is the difference between the L100 Go and L300 Go systems? The L100 Go is a single-channel system. This version is a device for users for whom adequate physiological dorsiflexion is possible with single-channel stimulation and who have no additional instability of the knee or weak thigh muscles. The L300 Go is a multi-channel system. A single electrode controls two stimulation channels to provide balanced dorsiflexion – so it’s possible to configure very fine supination, pronation and dorsiflexion settings. An additional surface stimulator with a matching thigh cuff is available for users with instability of the knee or weak thigh muscles. L300 Go – Improved mobility. Made easier.